As I reflect on last week’s blog, I realize that Volunteering makes us a Community. 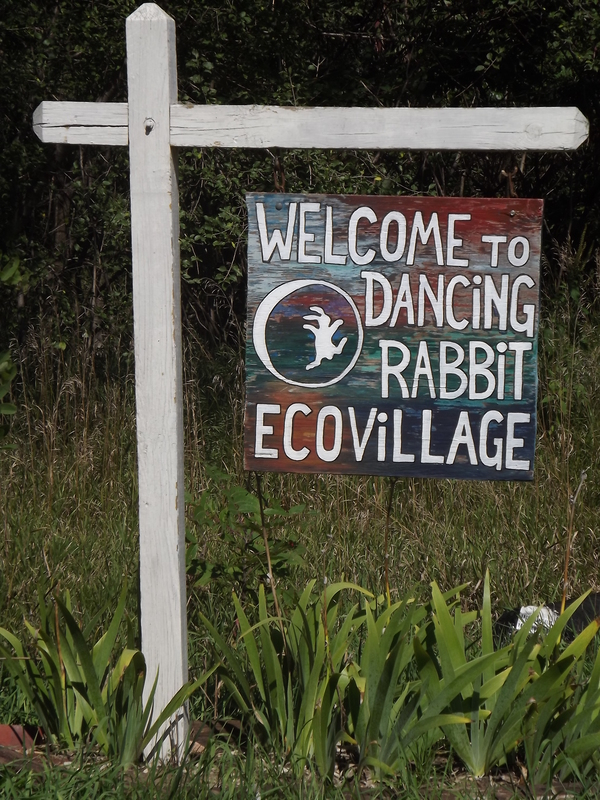 So this week’s blog is about Community in general and Dancing Rabbit EcoVillage in particular. Having moved in the last year, I am newly familiar with seeing the differences in Communities. There are many things I love about Alexandria, but also many I miss from my old community in central Indiana, Noblesville. And spending some time last year at Dancing Rabbit EcoVillage, an Intentional Community, gave even more insight to the concept. So what is the definition of Community? There are many communities in my grander scale Community. There is the Cherry Street Bookstore community, the DFL community, the Friends of the Library community, the Douglas County Fair community, the various and sundry Church communities, the Local Food community, the Local Music community, the Local Theatre community. There are even further sub-communities like the Quad A Theatre community and the Theatre L’Homme Dieu community. Even our Family is a little community. And our Communities are like little Families… or sometimes big Families! A Community is a place we can find support, love, guidance and criticism. All of these make us into the person we are becoming as each of us changes every day with new experience and perspective. A compassionate and mature Community can do this in an organized and productive way but all Communities do it to one extent or another. Our relationships with those in our Community play a part in the person each of us is and how we each change as we progress through life on this big rock called Earth. Community gives us a chance to try things and grow, determine our likes and dislikes and feel our way forward on so many aspects of life. We may be a part of a community for a long time or a short while. We may become vocal and active or participate in more subtle ways. And we get gifts and challenges along the way. I have been a part of so many communities and I only wish I had time and energy to keep in touch more with those from my past and to commit to more going forward. I think because I love people and I love learning. It’s a wonderful experience to BE with people, doing things we believe in and living out our values. And being a part of Community means we can live on less because we have more people on whom we can rely. I can bounce ideas off my community friends that help me figure out life so I don’t need as much from doctors or therapists or lawyers. I can have a potluck with community friends and enjoy a dinner buffet while only having to make one dish. I can count on my crafter community to provide stash for projects so we can all make awesome stuff without each having to buy the tools, materials and whatnot for a given craft. Mom counted on her neighbor to help spread her driveway gravel with his Bobcat. Working together and sharing resources means we all can live more fully with less effort and expense. And relying on Community for entertainment allows me to live on less money but still live BIG. 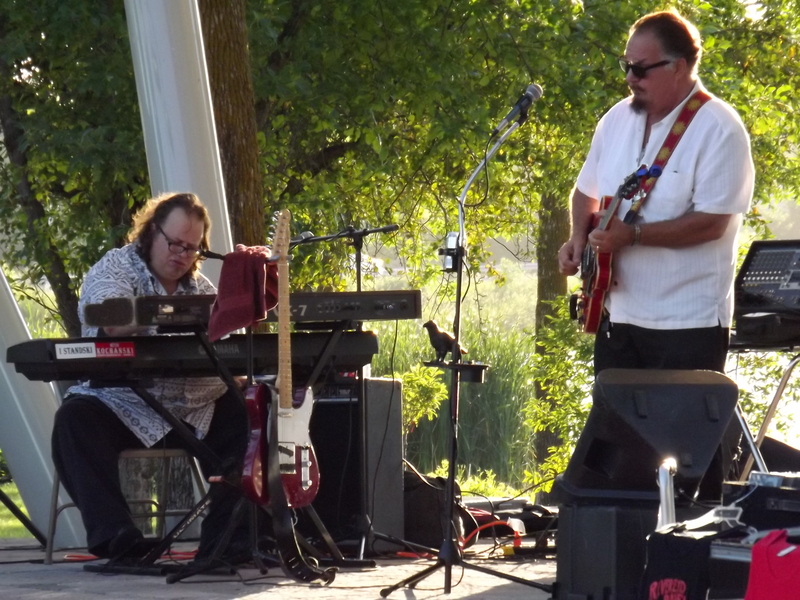 The local music is typically free, as long as you are enjoying the offerings from the establishment providing the band. I also rely on the businesses in my Community to provide support for local groups to come in for free shows enjoyed by the Community at large. They get advertising, name recognition and appreciation and we get good music. Local theatre is much more affordable than that of the big cities but it’s equally as enjoyable. And I’ve enjoyed volunteering my time as an usher so the shows are free in exchange for my offer to help! Alexandria Area High School is another wonderful place for inexpensive or free entertainment and it gives kids a chance to perform, honing their skills and knowledge. Community allows for so many win-win solutions. When I was at Dancing Rabbit (DR), I was able to enjoy the musical skills of people in that community just by being present. After the potluck, someone would grab a guitar and play for us. Maybe someone else would bring a drum a nd others would sing. Members joined in for weekly sing-a-long nights creating our own entertainment and appreciation for each other. Children often would provide amazing fun just by being kids; I recall a mud pit that became a playground right outside the door of the Gnome Dome where I stayed. What joy! And when a lost friend was celebrated at her graveside, the joining of voices was a sacred gift of our own making. A bittersweet but still joyful remembrance. Intentional Communities often create a kind of Community that seems like one large family. People live in close enough proximity that there are many occasions for interaction. Unlike most suburban neighborhoods where people drive into their garage after work and may never see the neighbors, at the EcoVillage, the only cars are in the co-op building so travel through the village is done on foot or by bike. It’s easy to find a moment to say hello, share a trouble or give a helping hand. It’s easy to stay in touch with people’s lives. And kids have the availability of multiple grown-ups to help them learn and sooth their falls. Those without children still have an ability to “parent” as agreed upon by the members of the Community. There are “brothers” and “sisters” all around. Of course, this can also get testy… most families feud at one moment or another, right? To preserve the Community, at DR, there is a strong support network of committees to get things done and a focus on Non-Violent Communication (NVC) and other techniques to help keep the Community talking and to resolve issues as they arise. It was very interesting to be a part of this open communication group. At first it seems confrontational but then you realize people are simply comfortable with expressing themselves in a clear and timely manner. Stating needs and setting expectations and sharing feelings is very functional but it felt strange for me, perhaps particularly since I was coming from a Midwestern culture where it isn’t always encouraged to share so openly. It was refreshing to be able to listen and share in a way that wasn’t about blame but about understanding and finding solutions or simply comforting, depending on what was needed. At DR people share common areas and tools: a common house for meetings, computers, bathrooms, mailboxes and showers; several kitchens which support 3-30 people; common grounds for orchards, swimming and recreation; a car/truck co-op; a village grid for electricity. As such, many of them live on fewer resources than a typical American. When you share common space, tools and activities like cooking and eating, you end up with less waste. Many American houses have a living room, family room and dining room. But much of this space remains unused the majority of the time. In fact, with both parents working and kids in multiple activities, many American houses are empty for the majority of each day! The people of Dancing Rabbit (aka Rabbits) are working to show that it is possible to live on a lot less than the average American and they are succeeding, typically living on about 10% of a typical American with regard to fuel and electricity via renewable energy, ecological cooking and sustainable transportation, heating and hot water. They live on a small fraction of the water used by a typical American by using rainwater catchment, cisterns and humanure toilets. The building techniques they use require materials with minimal embodied energy and the use of local, natural, sustainable resources as much as possible. I recommend that anyone who’d like to get a taste of living sustainably and learning about Community make a trip to Dancing Rabbit. It’s quite an impressive living community, reportedly one of the top 5 EcoVillages in the world and it’s right here in the Midwest. If you have interest, I encourage you to attend a Visitor Session or Open House. And, if you are so drawn, you’re in luck, as their annual open house this year is September 12, 2015 from 1-4 PM. As hard as it may sometimes get, as complex as all human relations can be, I believe that living in the various Communities that I have chosen to make a part of my world truly makes me a better person. I’m still growing and learning and I hope that never ends. It’s a joy to see where life will lead me next. Whether it is making a connection with new friends, giving of my time and being rewarded with entertainment or learning something new, being involved in Community brings wonderful opportunity. While I need less to live when I work in cooperation with others, it’s ironic that I also find my life is so much more fulfilling.